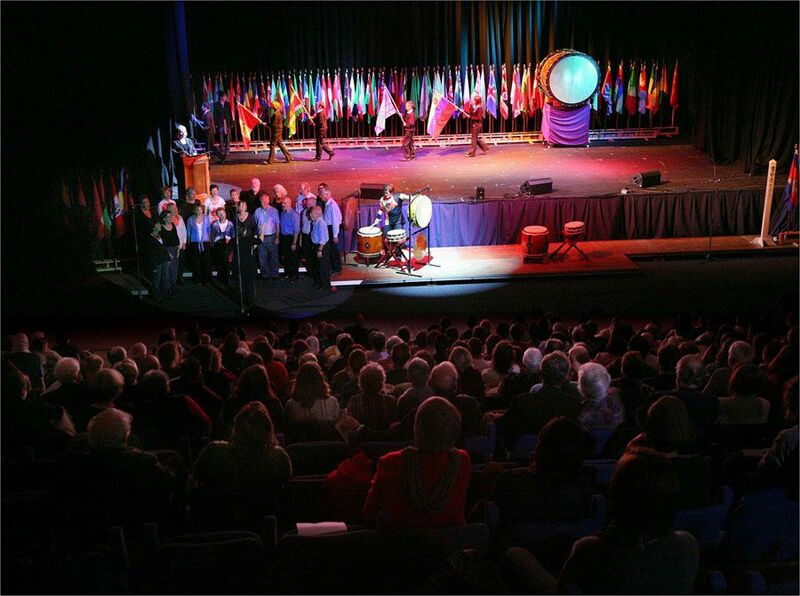 The Global Peace Concert and World Peace Flag Ceremony were held in Dumfries, Scotland on September 18th. It brought together musicians from Japan and Scotland to celebrate the UN International Day of Peace and to honor the Japan and United Kingdom 150th Anniversary (an acknowledgment for the opening of diplomatic relations between the people of Japan and the citizens of The United Kingdom). Japanese musicians included Joji Hirota and Taiko drummers, Masayuki Kino (violin) a Hikaru Yoshiyama (piano) and Clare Uchima and her band.